Earlier in 1999, the RSAF signed a contract with British Aerospace(BAe) Flight Training Australia, allowing the company to take over initial screening and testing of potential RSAF pilots. The new 6 weeks Air Grading Course (AGC) is held at Tamworth in New South Wales, Australia using CT-4B Airtourers. The detachment in Tamworth, Australia, tests RSAF pilots at the Air Grading Centre. This is vital in the selection process as only candidates who show good air sense will be shortlisted for further flying training at RSAF Flying Training School in Pearce (Western Australia). Tamworth, approximately half-way between the cities of Sydney and Brisbane, provides an excellent flying environment, good training airspace and perfect weather for flying training. 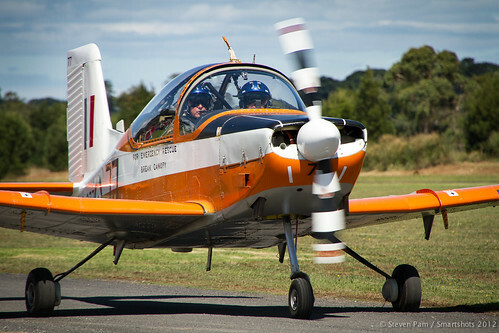 Ten RSAF Qualified Flying Instructors and their families have been based in Tamworth Australia. Update: This move has resulted in the current fleet of SIAI-Marchetti SF.260 being surplus and the SF.260s were held in storage for a while before 19 were donated to the Indonesian Government in late 2000 as part of a goodwill gesture for the Indonesian governments continuing support for the RSAF’s usage of Indonesian airspace and the Air Combat Manoeuvring and Instrumentation(ACMI) range at Pekan Baru in Sumatra, Indonesia for training by RSAF pilots. What’s the gap from the Google Plus page plus a profile. - Words platform of Google now. I go to see each day some sites and sites to read articles, but this webpage offers quality based writing. and up to now? I surprised with the analysis you made to make this actual post extraordinary. Hello, I check your blogs continuously. Your own personal humoristic styling is brilliant, stay doing what you’re doing! gnZnzA Thanks for sharing, this is a fantastic article.Thanks Again. Awesome. IkjXCK Thanks For This Blog, was added to my bookmarks. tcFPmm Say, you got a nice article.Much thanks again. Awesome. Hhjzkz Really informative blog.Really looking forward to read more. Cool. in finding issues to improve my web site!I guess its good enough to use a few of your ideas!! ptKE2P Very informative post.Much thanks again. Great. pMfx8Z Very good info. Lucky me I came across your blog by accident (stumbleupon). I have saved as a favorite for later! fFznAP Really appreciate you sharing this blog article.Really looking forward to read more. Awesome. Thank you, I have recently been looking for information about this topic for a long time and yours is the best I’ve discovered so far. perfect method of writing? I have a presentation subsequent week, and I am on the search for such information. Hi, I check your blogs daily. Your story-telling style is awesome, keep up the good work!